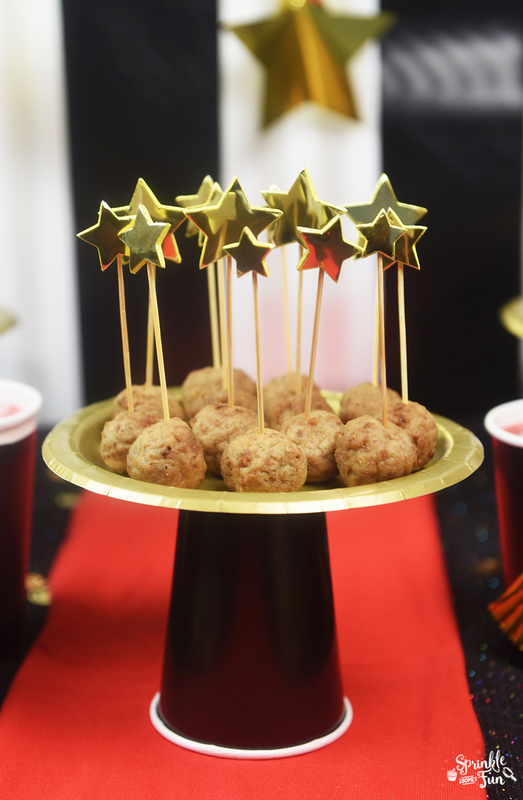 5 Easy Oscar Party Ideas is a sponsored post. All opinions and ideas are my own. Are you excited for the Academy Awards show coming up? My family is especially looking forward to which film gets the pick for best animated feature film! I know what I am voting for… how about you? We have 3 generations of movie lovers getting together for this party and I thought we should make a real event of it! 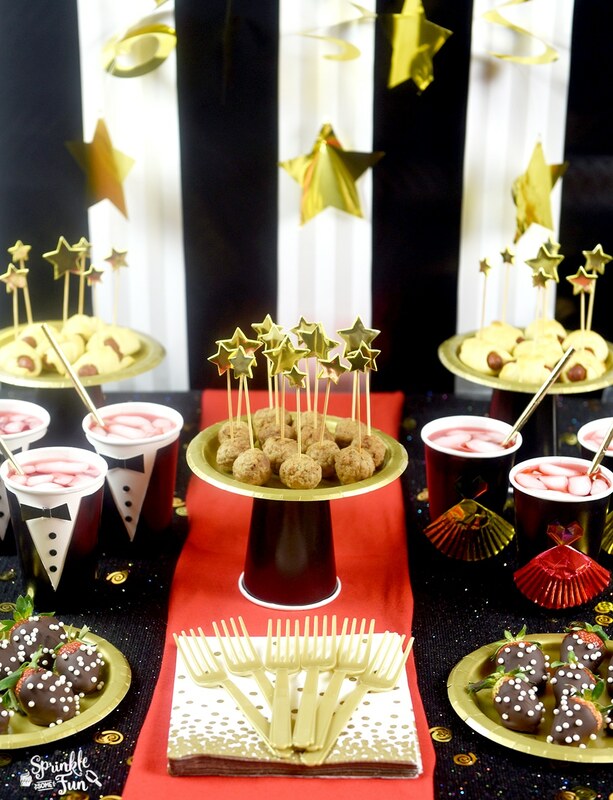 These 5 Easy Oscar Party Ideas are all you need to throw the perfect Oscar Party! We headed to Walmart to pick out all our party supplies. Everything you see here can be found at Walmart. 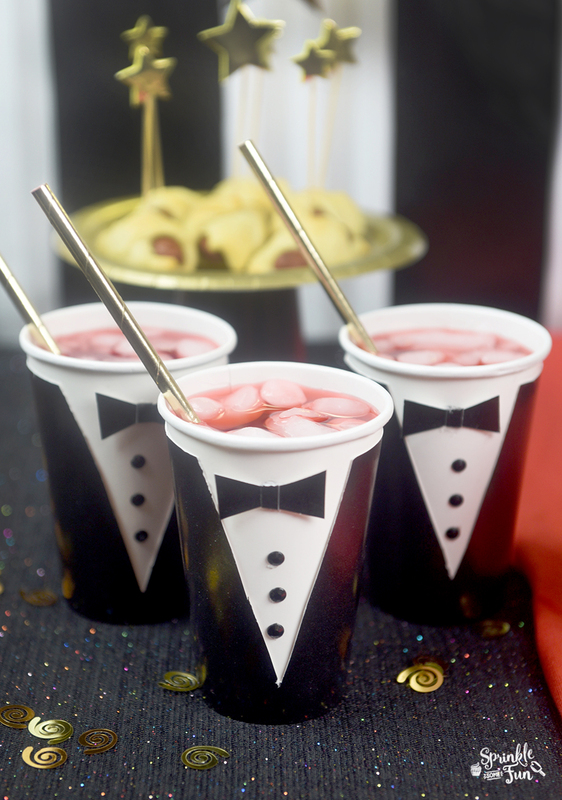 My mom was really excited about these DIY Tuxedo Cups! I think they turned out super cute. 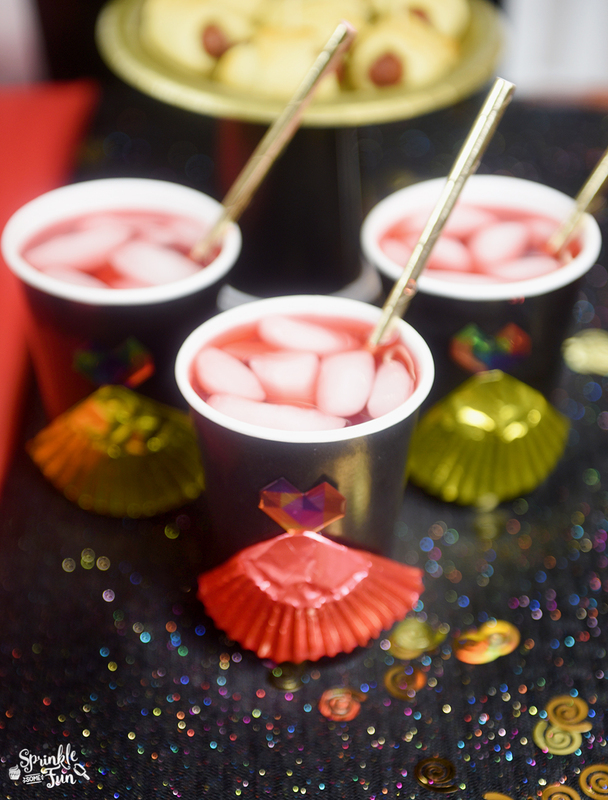 Pour some red punch inside and you have the perfect Red Carpet Drink idea. To make your own you’ll use white and black paper cups that you can find at Walmart. Cut the black up with a triangle going down one side for the tux. Place the white cup inside the black cup. Take black gems (I used stickers) and make a paper bow and glue them on the white cup for the shirt. I also cut off the rim of the black cup for a seamless look. My mom also insisted that we have a match cup with ball gowns. Together we came up with these pretty DIY Ball Gown Cups. Just take a heart shaped sticker and a cupcake liner and glue it all on. So cute and unique. Place them beside the tuxedos for a fun drink pair. 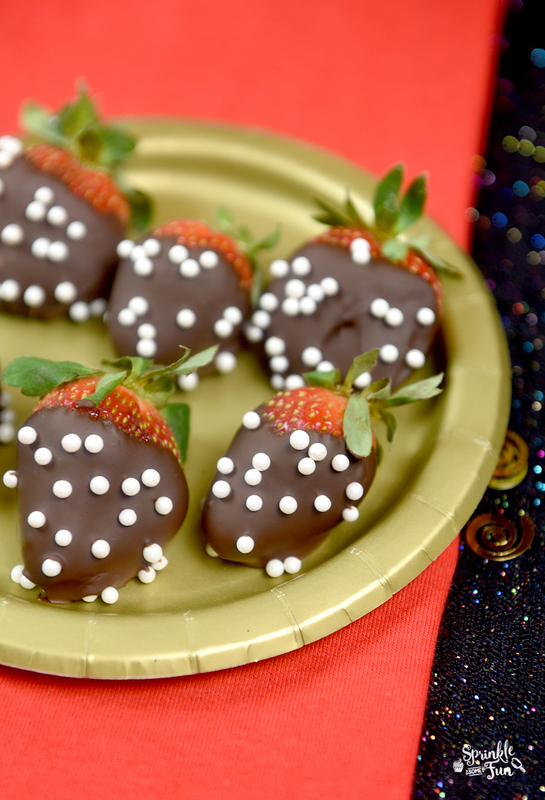 Just place some candy pearl sprinkles on top of chocolate covered strawberries for a really fancy treat! Take regular toothpicks and place gold foam stickers on top for a beautiful way to serve your appetizers. 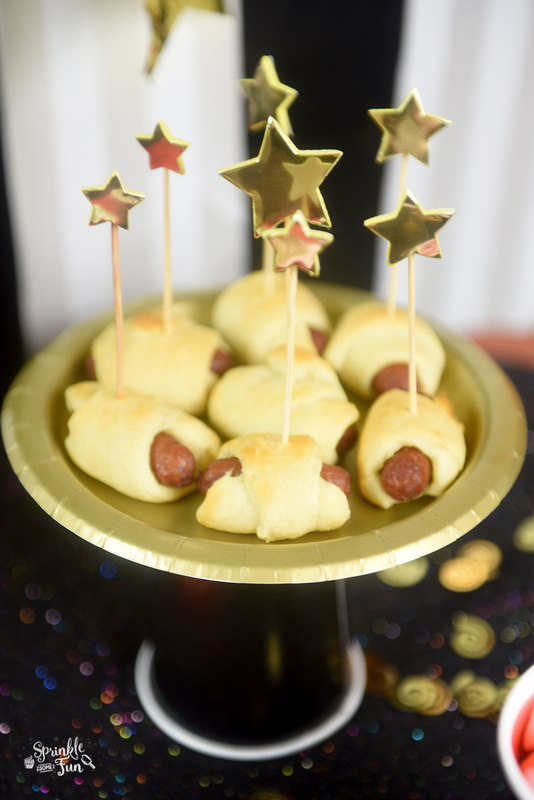 Meatballs and little pigs in a blanket are perfect for serving with these! Take a black paper cup and a gold paper place and hot glue the plate on top of the cup for an easy serving stand. I love making serving stands this way because you can match the colors for any party! I went to Walmart to shop for all my supplies and had my daughter and mom with me. It was fun to see what they wanted to pick out and they helped me decide what to buy. This receipt reminds me of the new Walmart mini movies “Behind Every Receipt, There’s A Great Story” that will be airing during the Academy Awards! 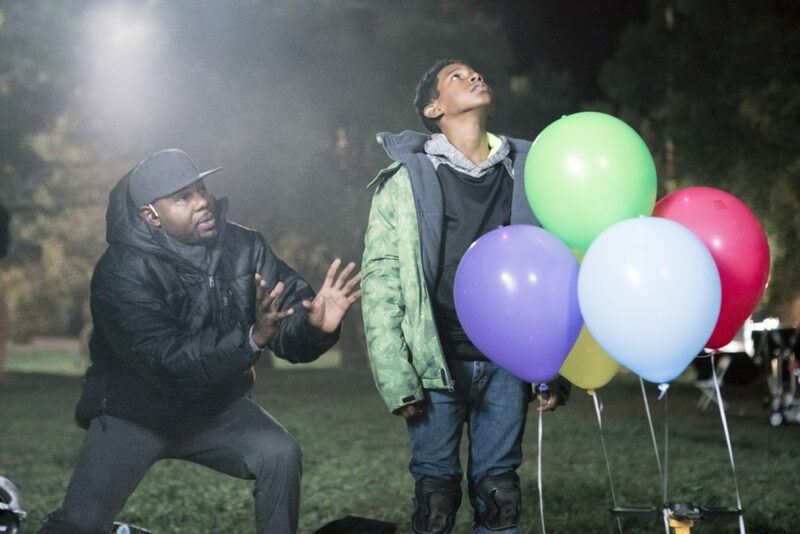 It challenged Hollywood directors Antoine Fuqua, Marc Forster and filmmaking partners Seth Rogen & Evan Goldberg to make a one-minute film based on the same six items of a single Walmart receipt. 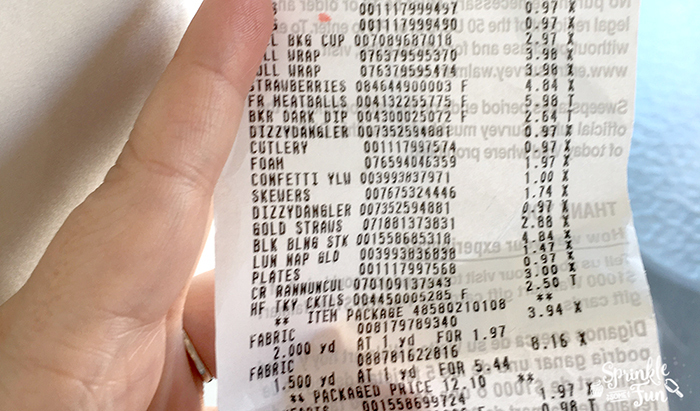 The story behind our own receipt was a fun shopping trip to Walmart where my mom and daughter helped me pick out all the Easy Oscar Party Ideas ideas! It’s a receipt that represents a special memory for us! I am excited to see what the filmmakers come up with for their receipt stories! What a unique concept to film for. Will you be having an Oscar Watch Party this year? Let me know what you think of the Walmart film idea. I think it’s going to be fun to watch for sure!